Although a frequent topic in many of today’s technology-focused discussions, the Internet of Things (IoT) is still a complex, abstract concept for many in the process manufacturing industry. What, exactly, does it do, and how will it impact the future of food production? 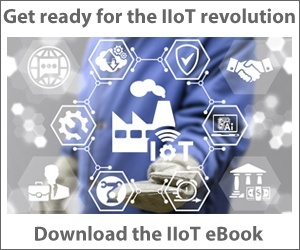 Simply put, for food manufacturers, the IoT is the sharing of real-time information and communication via the web among multiple devices and equipment – from a laptop or cell phone to a heat exchanger or filling line. According to Gartner, the IoT is expected to grow to 26 billion units by 2020 and is defined as “the network of physical objects that contain embedded technology to communicate and sense or interact with their internal states or the external environment.” This statistic confirms what many food manufacturers already know – the IoT is here to stay. The IoT represents a multitude of possibilities, but common standards must be established in order for the network to be effective. Cooperation between all internal stakeholders is necessary to establish protocol and create concurrent interoperability for devices, so assets can essentially “talk” to one another using a shared format or language. Today’s businesses are establishing connectivity between machines within their facilities, but imagine a future where assets across multiple collaborating companies can communicate in real-time via the IoT. This will unlock a whole new realm of possibilities in terms of automation and efficiency. Many food companies have adopted a narrow IoT approach for a number of years as it relates to some of their more critical business parameters. On today’s terms, establishing an IoT within a food production facility can have a significant impact on daily operations. First and foremost, it allows the company to improve preventative maintenance practices. Connecting all assets and devices using an integrated enterprise asset management (EAM) application enables real-time monitoring so potential issues can be detected up-front. By taking a proactive, rather than reactive, approach to maintenance, food manufacturers can reduce unexpected costs and prolong the lifespan of assets to promote further resource savings for the company. Creating this level of connectivity between users and objects can also help manufacturers increase efficiency by allowing assets and machines to communicate directly with one another. This will speed daily operations and reduce the potential for errors that often results from relying on employees to manually monitor and drive processes. When real-time relationships between assets are made, it also positions the company to pursue deeper analysis to promote better-informed decision-making. Aggregated data can be analyzed to help food manufacturers pinpoint areas for increased productivity and better match supply with demand, which facilitates greater profits for the organization. From a global perspective, the IoT will also help to reduce waste. According to the Food and Agriculture Organization of the United Nations, “About one-third of all food produced today – some 1.7 billion tons – is lost or wasted along the food value chain.” This could be remedied using the IoT. If availability and demand data from multiple sources along the supply chain was integrated, such as crop harvest schedules and grocery story inventory levels, this information could be used to identify the points at which food is lost. Steps could then be taken to reduce the amount of waste, helping to increase sustainability and prevent food manufacturers from losing profits. Most IoT initiatives will be disruptive, but new developments of this nature will have a large impact on the way food is produced and sold to the general public. Manufacturers should look to coordinate with distributors, supply chain stakeholders and retail outlets now to discuss the establishment of common standards. Taking these first steps will position organizations to be among the first that experience benefits as a result of the IoT.